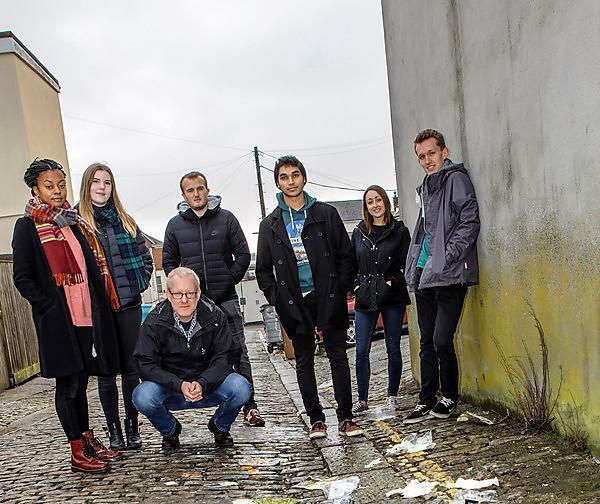 Supporting our position as one of the leading green universities in the country, students from the Geography and Environmental Science societies have launched a joint initiative to clean up the city’s streets. Working with academics across both subjects, and the local community, they have signed up to the Great British Spring Clean - organised by Keep Britain Tidy - on Sunday 5 March 2017. Meeting at Plymouth Railway Station at 11am, volunteer teams of students and members of the public will aim to tidy up residential streets and public spaces near the city centre, making a positive impact on both regular residents and visitors to the city. The initiative reinforces our students’ national reputation for being both environmentally and socially responsible, but also complements our research and teaching into issues around the impact of litter on urban, rural and marine environments. Keep Britain Tidy is launching its biggest ever litter campaign to encourage half a million people to get out there and make sure where they live, work and shop is a clean appealing place they can be proud of. The Spring Clean, which will take place from March 3-5, is being backed by charities such as the RSPCA and the Marine Conservation Society, central Government and organisations including Highways England and businesses including McDonald’s, Greggs, Lidl, Costa, Wrigleys and Coca Cola. It builds on the success of 2016’s national clean-up, which saw 250,000 people get stuck in to clean up their communities, including hundreds of school children, thousands of community groups and over 250 local authorities across the country, who between them collected more than 300,000 bags of rubbish. "It's so important that students work with their local community to make where they live, where they grow up and where they study, just their environment that little bit cleaner"
If you are a student at the University, or a member of the public, and want to get involved in the event on Sunday 5 March we would love to hear from you. Simply email ellen.white@students.plymouth.ac.uk for more information, or visit the students' Great Plymouth Spring Clean Facebook page.